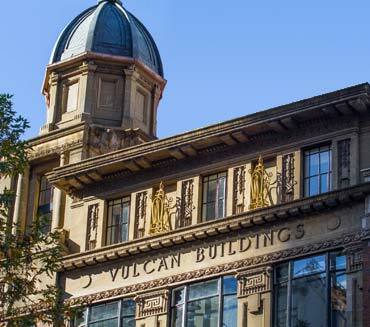 Vulcan Building Chambers is a barristers' chambers situated on the corner of Vulcan Lane and Queen Street, in central Auckland, New Zealand. The barristers have experience in the Supreme Court, the Court of Appeal, the High Court, the District Court, the Environment Court, the Employment Court, the Family Court and most tribunals in New Zealand. Please see the Members page for further details as to their particular expertise and experience.